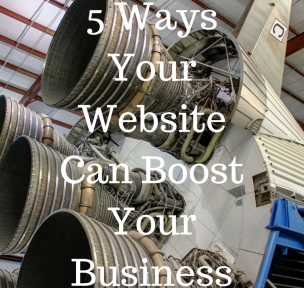 Home / Blog / 5 Ways Your Website Can Help Boost Your Business. 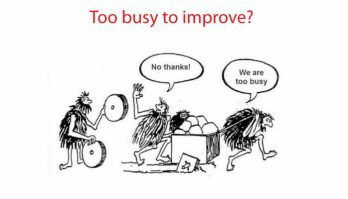 As a savvy business owner, you know that it’s not enough to have a website just for the sake of having a website. But are you utilizing your website to its full potential? From sales to customer sevice, your website could be playing a valuable role in your operations. Let’s take a look at five mission critical departments your website can drive forward. Your website should be a top sales driver for your brand. After all, it is your 24/7 brand representative and salesperson. If your site makes purchasing easy, has smart copy, and maybe even a great video, your visitors will stay on your site longer and increase their chances of making a purchase. Here are some tips on how you can optimize your website to increase online sales. Motivate customers to buy now by offering limited-time specials, discounts, or bonuses. Make your website content skimmable. Use varying font formats, sizes, subheads, bullets, and colors (in a tasteful way) to ensure someone who’s not reading your site word for word can still clearly understand what you’re offering. Consider adding a great explainer video to the top of your website that clearly explains what you do and the benefits of hiring your business. Offer your visitors valuable content, or a free trial or sample before they purchase. Make sure your website loads quickly. It doesn’t take long for potential customers to jump ship! When it comes to using your website to increase sales, think about your customer first — not selling. Repeat customers are some of the best customers. They know you well, they’re easier to sell to, and they can even help you gain new customers through word of mouth. Fortunately, your website can help you increase your customer retention. One way to do that is by using your site to build your mailing list. If you nurture your relationships with existing customers, your chances of retaining them increases. Simple as that. You can do this by first developing a great follow-up process once a purchase has been made. Capture their email address, and let them choose to opt in to your newsletter. Once you have a mailing list, use it to send your customers special loyalty discounts, reminders, birthday wishes, or bonuses for referring friends. However, be careful not to overwhelm your mailing list — try to send only two or three emails a month. Additionally, you should offer a smooth after-purchase process and make sure you let customers know how grateful you are for their business. After the sale has been made, make it easy for them to order again by saving their account and card details (with permission, of course). On top of that, your website should also serve to make customer service a breeze. Make it easy for your customers to get in touch with you directly. What happens when customers try to find your business? Are they able to? If you’re a florist in Houston, does your website pop up on the first page when someone searches for “Houston florist”? If not, you’re missing out on a huge opportunity. For example, if your keyword is “Houston florist,” you should also include terms like “florist in Houston,” “flower shop,” “local florist,” etc. Check out Moz Keyword Explorer for some suggestions of keyword variations. Link your pages to one another, creating smooth navigation, and link to quality external sites as well. Bonus points if you have other great sites that can share your link, too. Your website can help you make your business operations smooth sailing. Utilize automation tools like Zapier and IFTTT to make everyday processes coordinate seamlessly. The goal here is to create a workflow that aids your customers’ user experiences, as well as your internal operations. Overall, these processes are put in place to not only provide value to your customers, but also to save you precious time, energy, and money you may be wasting on chasing unqualified leads. Last, but certainly not least, you should be using your website to reduce costs. If your website is informative and answers basic questions, you can save time on the phone discussing logistics like store hours and address. You can also save time by using your website as a customer service agent — just throw a great FAQ page on your site. In addition to these time-saving hacks, you can directly cut costs by going digital. A refined digital presence saves tons of dollars you’d be spending on signage, mailers, print ads, manuals, and more. After all, email marketing is a LOT cheaper than direct mail. And if you switch to online invoicing, you get to save the money you would have spent mailing bills or invoices. Now is the time to take complete advantage of your website’s capabilities. Contact TuiSpace today for your web design, development, and SEO needs.